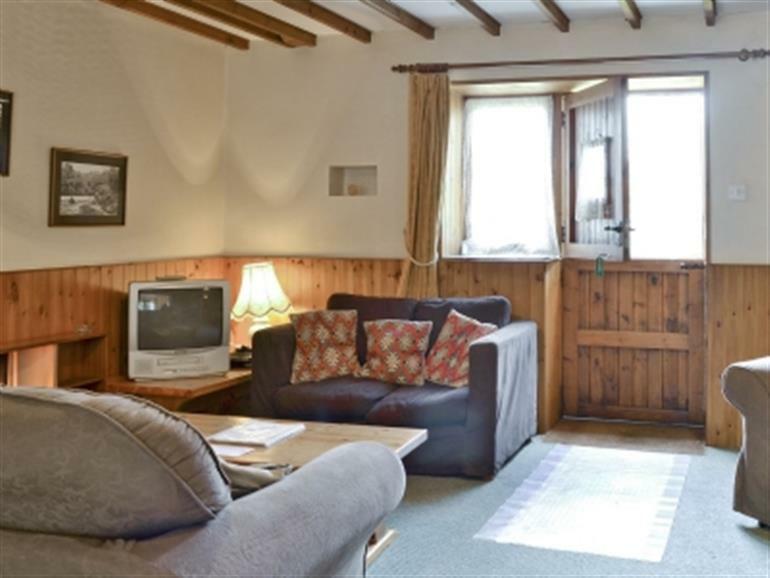 Shire at Gaer Cottages in Cribyn, near Lampeter sleeps 12 people. These six cottages (refs: 31186, 31187 [Hayloft], 31188 [Dairy], 31189 [Shippon], 31190 [Mynach] and 31191 [Daniel Ddu]), are part of a group of nine cottages in total, and all benefit from a shared indoor swimming pool. Gaer Cottages in Cribyn have been comfortably furnished and nestle within 8 acres of shared grounds with formal gardens, woodland, pasture and a river where picnics can be enjoyed. There are many great shared activities on site to keep the whole family entertained, including the swimming pool (check for availability in low season), games room with table tennis and coin-operated pool table, children’s play area, animals and a Bar-be-que with seating by the river. They are perfectly located amid beautiful, unspoilt countryside providing easy access to the rugged Cardigan Bay coast with its spectacular scenery, cliff top walks, sandy bays and fishing villages, and the Cambrian Mountains with its vast forests, moors and lakes. The area has so much to offer including activity centres, country houses, ancient monuments, castles, mines, steam railways, museums and crafts, you will be spoilt for choice! Fishing, golf, horse riding and water-sports can also be found locally. There is a shop/post office/garage and pub/restaurant within 3 miles of Gaer Cottages in Cribyn. Shire at Gaer Cottages is all on ground floor: Living room with double sofa bed and patio doors/dining room/kitchen with tiled floor. Utility room. 3 bedrooms: 1 double with 2 additional singles (can be bunk on request), 2 twin, both with 2 additional singles (can be bunks on request). Bathroom with toilet. Wet room with toilet. Electricity included (peak use by meter reading). Economy 7 night storage heating, electric heaters (bedrooms), bed linen and towels included. Travel cot and high chair on request. 22’’ Freeview TV. Electric cooker. Microwave. Washing machine. Shared laundry room with coin-operated tumble dryer. Dishwasher. Fridge/freezer. Enclosed garden with patio and furniture. 8-acres of shared natural grounds. Shared barbecue. Ample parking. Shared cycle store. Shared indoor swimming pool (11m x 5.5m, depth 1m to 2m), with shower and changing facilities, check for availability in low season. Shared games room with pool table and table tennis. Shared children’s playground. Wheelchair access. NB: Sloping banks, pond and river in grounds, 20 yards. Pets allowed at Gaer Cottages - Shire. For a better idea of where Gaer Cottages - Shire is, you can see Gaer Cottages - Shire on the map below. You can find more large holiday cottages (that's cottages which sleep 8 or more people) in Dyfed. 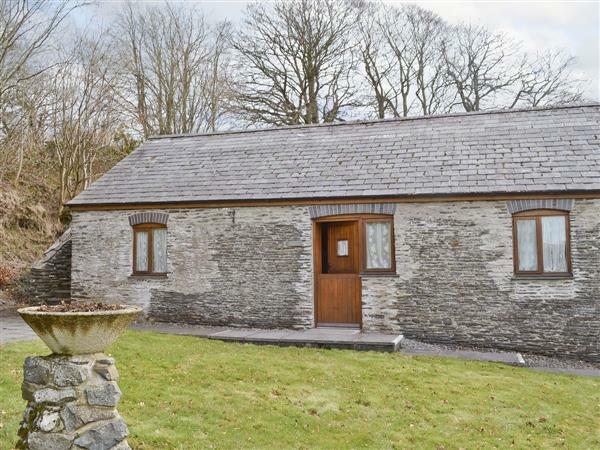 If you want to see more large cottages, have a look at large cottages in Dyfed. Gaer Cottages - Shire is in Dyfed; should you be on the lookout for a special offer, you can find all the special offers in Dyfed. It's always worth checking to see what is on offer at the moment. Do you want to holiday near Gaer Cottages - Shire (31186), you can see other cottages within 25 miles of Gaer Cottages - Shire; have a look to find your perfect holiday location.